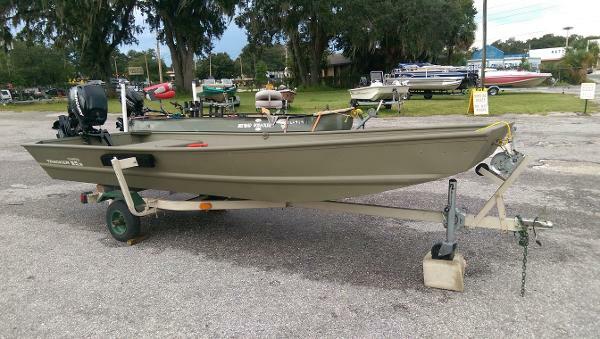 2013 Tracker Topper 1542 LW Riveted Jon Boat Located in Leesburg dealership. 2016 Tracker Topper 1542 LW Riveted Jon Scratch and dent model will have minor cosmetic issues and will have no cosmetic issues, but will carry structural warranty. 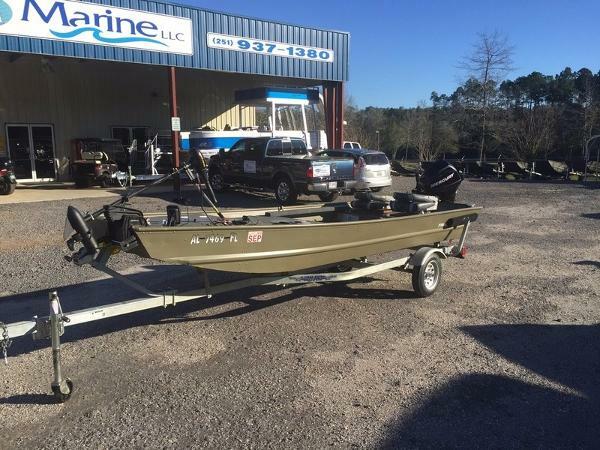 2016 Tracker Topper 1542 LW Riveted Jon, The TRACKER Topper 1542 LW Jon Boat is our only riveted, flat-bottom Jon to come with an built-in wetwell, and it's built TRACKER tough to give you and your family years of fishing fun! At just 190 lbs., it can be loaded on the roof rack of some vehicles and in the beds of some trucks. 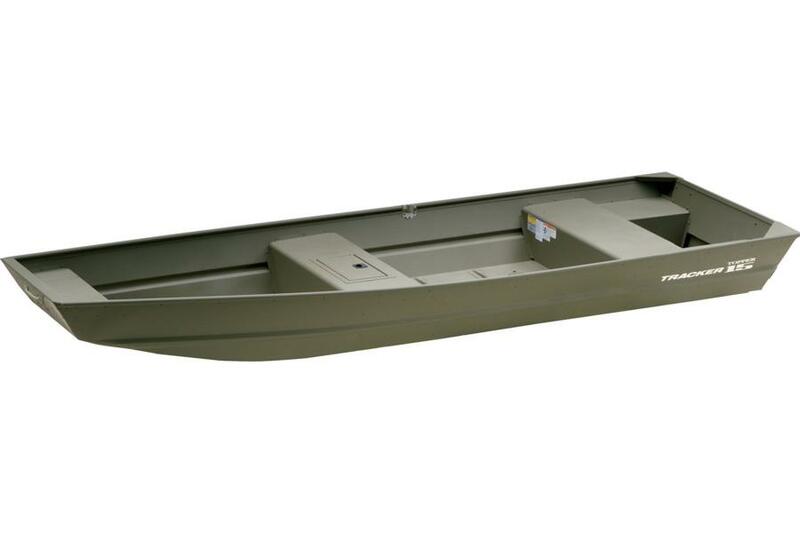 It's reinforced with port and starboard aft foam boxes, corner braces at the transom, and extruded aluminum transverse ribs that extend up interior sidewalls for added strength. The standard no-glare Forest Green powder-coat finish will protect your boat for years of service life. 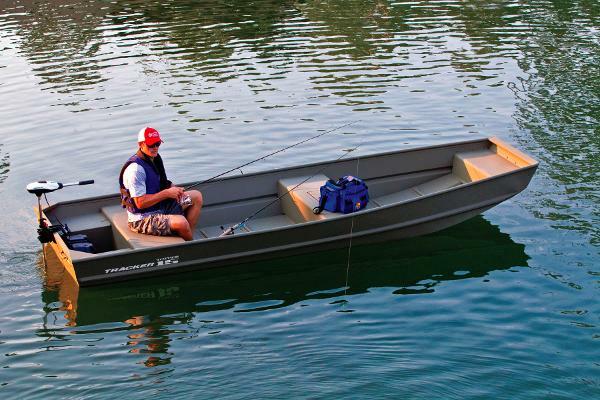 The 1542 is rated for up to a 25-horsepower motor. An optional single-axle trailer with GALVASHIELD protection is available.